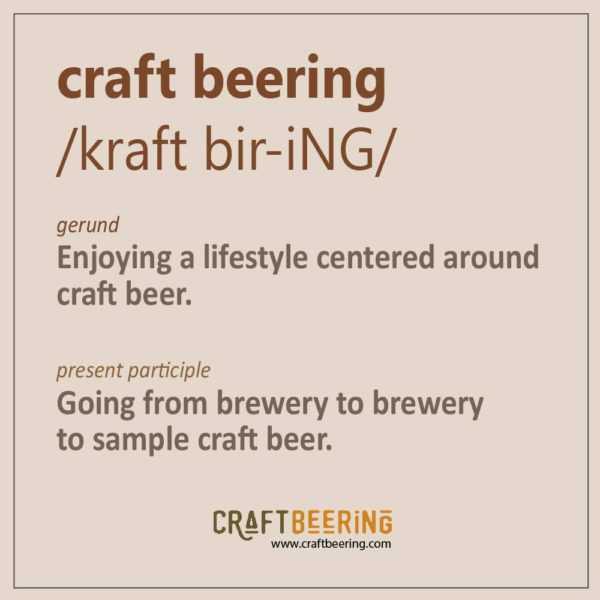 Craft Beering - It's a Lifestyle. We are the Perrines – Milena and Chris. We share a love for craft beer and good food, we take beer-cations, we home brew tasty styles (one of us really) and we generally enjoy doing things centered around craft beer. We savor the flavors, the excitement, the fun and the human connections created and strengthened by the oldest beverage of almost every culture. Welcome to our table! Craft Beering is our passion. We came up with the phrase a couple of years ago and it stuck. We live in colorful Colorado, a veritable mountain sports playground and a craft beer mecca. We are literally surrounded by progressive and creative craft breweries that constantly fuel our passion. We both work hard and craft beering helps us relax and brings us closer together. We are parents of a smart and kindhearted boy who is our very best achievement in life. Chris is a full-time executive chef and an avid home brewer. He does not enjoy writing but contributes a lot of his tried and true cooking with beer and other recipes to the blog. Milena runs the blog and does all the food photography and video production. She is not a writer, but loves sharing stories and writes all the posts on craftbeering.com. Her cooking with beer and craft beer cocktails recipes showcase the multitude of diverse flavors in craft beer. We started this blog to share our personal experiences with the craft beering lifestyle. We hope to connect with like minded people and make new friends as we post recipes, curiosities and random adventures in craft beering. We are so incredibly grateful that you are here. Our online domain is not in any way intended to provide expert advice related to craft beer or authoritative opinions in connection with the industry. It is simply an account of our meandering experiences and a celebration of our beering discoveries. We offer you our take on this absolutely gratifying lifestyle and invite you to take part in it. We will also strive to keep you from gaining any extra weight by sharing tips based on what has worked for us. Eating delectable food and enjoying craft beer is not synonymous with being unhealthy. Our goal is to create a site centered around craft beer that is fun, useful and inspiring. A place where others can communicate, taste and laugh with us (or at us, we are good with that).